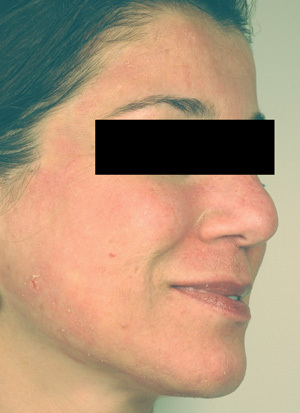 How Much Downtime Will I Need After an Erbium Resurfacing Micropeel? If you are considering an erbium fractional laser resurfacing treatment, then it’s best to understand how much downtime you will need to recover after your treatment. Downtime is a tricky word because it may mean different things to different people. This page will help you understand the different phases of recovery after an erbium fractional resurfacing and the time involved to heal from it. 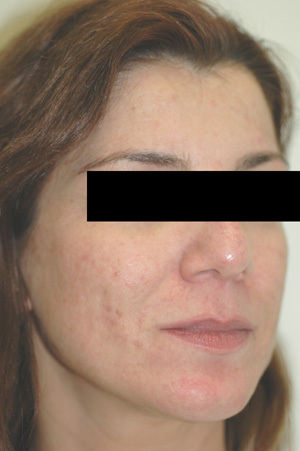 First, fractional resurfacing is an ablative laser treatment. This means that it involves the removal of skin. Think of it in terms of creating a “controlled wound”. In other words, we are very specific in the amount and depth of skin damage. Because of this, you will need time for your skin to heal; most people take 5 to 7 days for this process. The first 3 days will be the hardest, but you will see dramatic healing progress each day. During these days, your skin will be very red, and you should carefully follow the care instructions given to you. After 4-5 days, you can usually resume your normal daily routine, but you may not feel like being “out and about” with other people because you don’t look quite back to normal yet! This is what we refer to at Celibre as “social downtime”. We have found that most of our patients will return to work and/or school on day 5 or 6 after fractional resurfacing. While they are still red, their skin is healed enough that they feel comfortable being around other people. With each passing day, your redness will improve. One very important note: you MUST wear sunscreen. Even though your skin may be healed at this point, it is extremely vulnerable to the sun at this stage! Protect it and your financial investment by being diligent each day with sunscreen use! 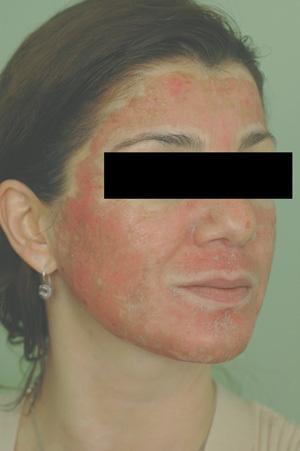 Even after reading this, it can still be hard to imagine exactly how your skin will look after a treatment. We have daily photos of past patients who have kindly documented their experience to share with you, so looking at these may help you understand better what you can expect. This is an ablative laser resurfacing treatment, so it is important for you to fully understand what to expect afterwards and plan to spend the necessary time to make a full recovery.